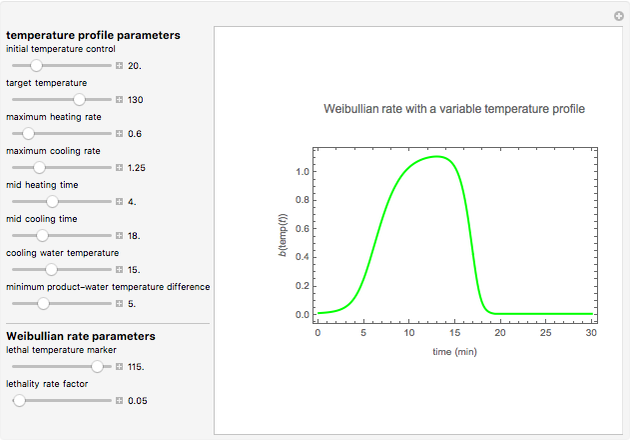 This third of five Demonstrations depicts the change in the momentary Weibullian inactivation rate of a microorganism as a function of time (in minutes) for a chosen temperature history. 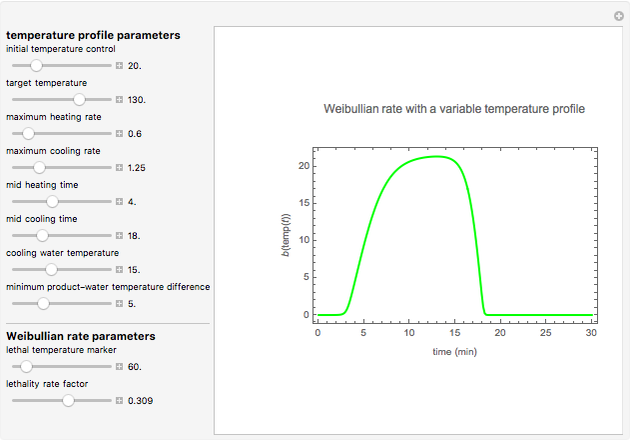 This is done by setting eight temperature profile and two Weibullian heat resistance parameters. Notice the automatic scaling of the axis; it is different in each example. 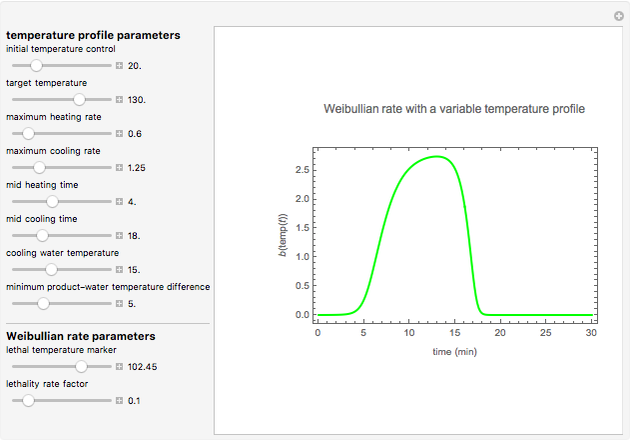 Please note that not all possible parameter combinations yield a realistic temperature and/or inactivation rate profile. Mark D. Normand and Micha Peleg "Weibullian Inactivation Rate as a Function of Time"